Is the Potato a Root or a Stem? No. Even though the part of the potato we eat grows in the ground, it is not the root of the plant. It is the underground part of the stem that has thickened. This part of the stem is called a tuber. 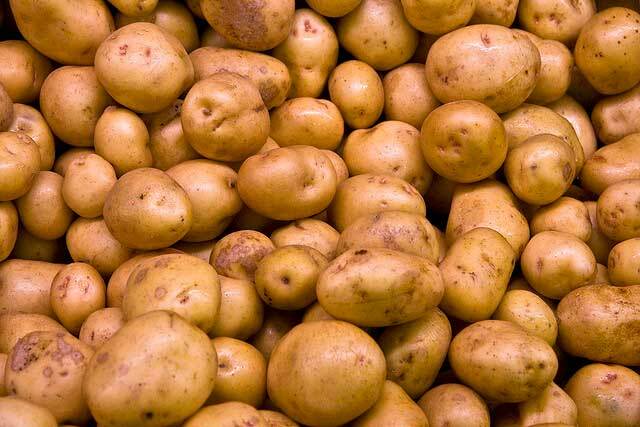 Tubers thicken and grow big because they store the food supply for the leafy part of the plant above ground. What Makes Root Beer Foam More Than Other Types of Soft Drinks and Why Is Root Beer Frothy? Where did potato chips come from and How did George Crumb invent the potato chip?